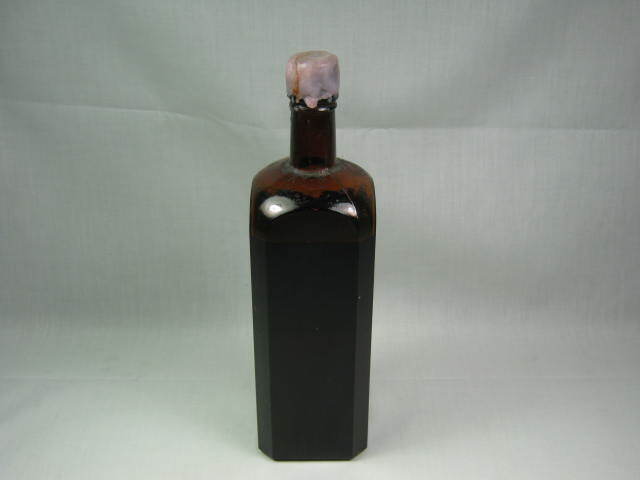 This listing is for an antique whiskey bottle. 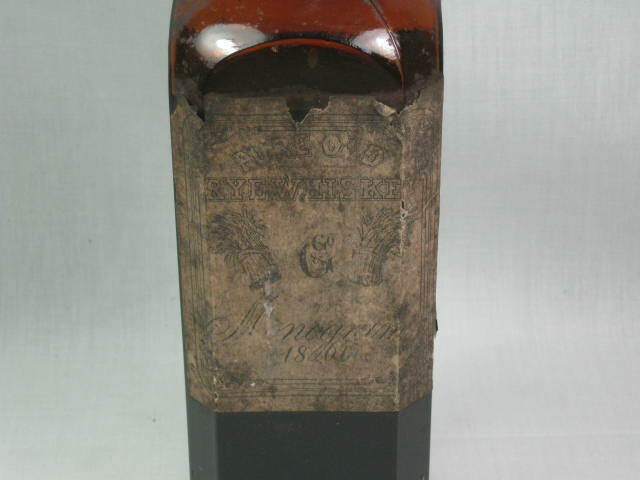 The label appears to say, " Pure Old Rye Whiskey C & Co Monogram 1860" and there are what appear to be bushels of rye on either side of the "C & Co." The bottom of the bottle has the number "551" embossed on it and it looks like it was marked twice, perhaps because the first mark didn't take. 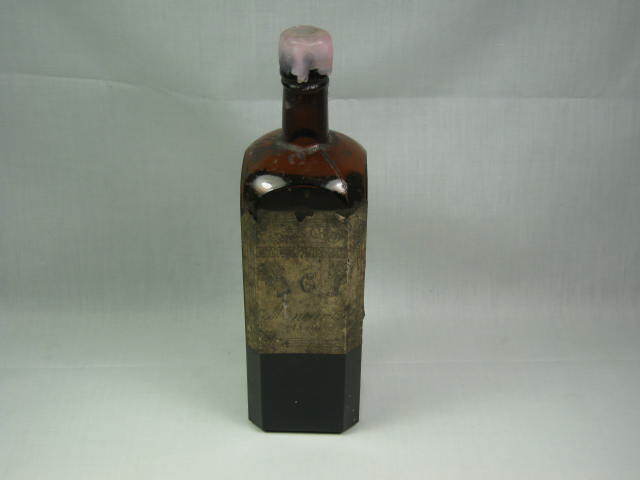 The consignor who brought this bottle to us worked for a wealthy family who owned a large estate in Vermont and was given it as a gift. 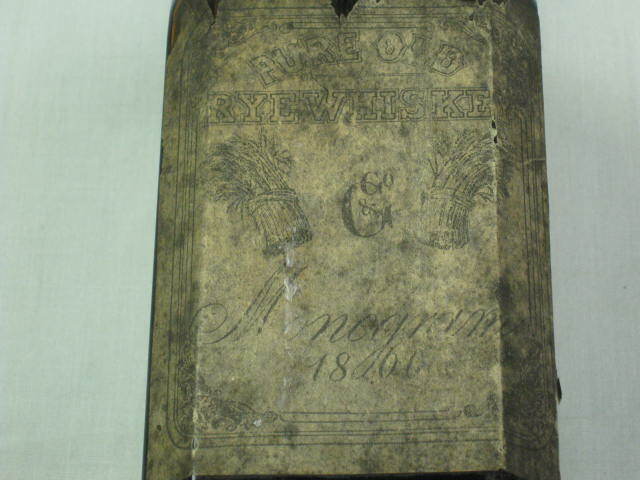 He was told the bottle was brought to Vermont during prohibition and had been kept in a locked cabinet since then. 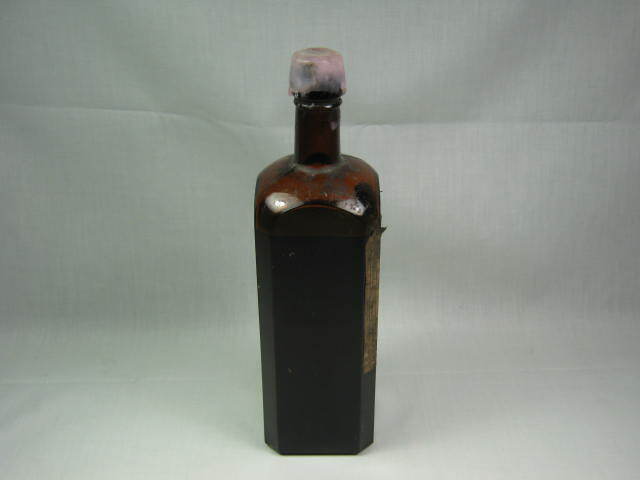 It was never opened but he noticed there had been some evaporation through the cork so it was waxed to prevent furthur loss. 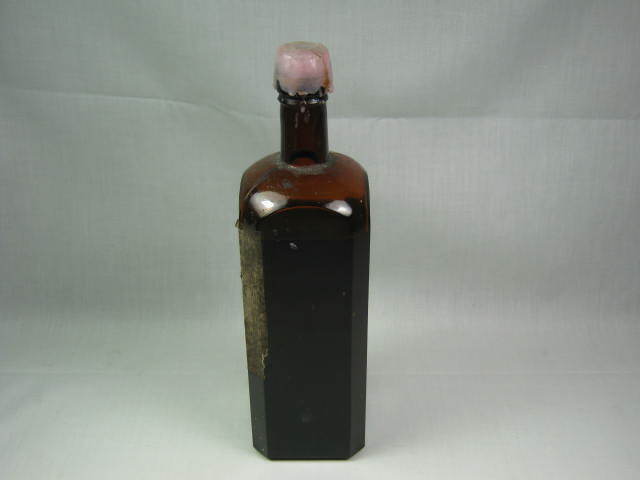 The bottle itself is in very good condition with no chips or cracks that we could find. 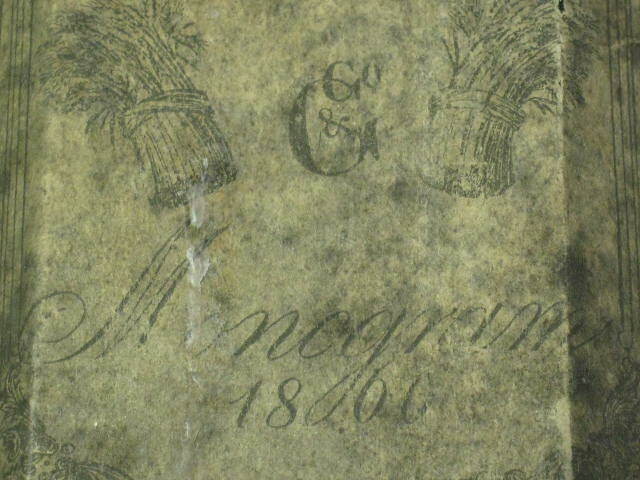 The label is quite well intact with some wear mostly around the edges and discoloration from age. This listing has no reserve price so don't miss your chance to win! The winning bidder can also pick up this item at our store in Winooski, Vermont to save on shipping charges. All local pickups are subject to 6% Vermont state sales tax. 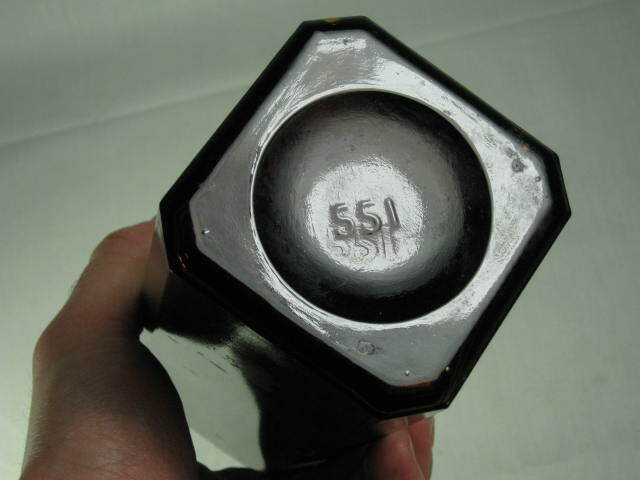 – The value of the item is in the collectible container, not its contents. 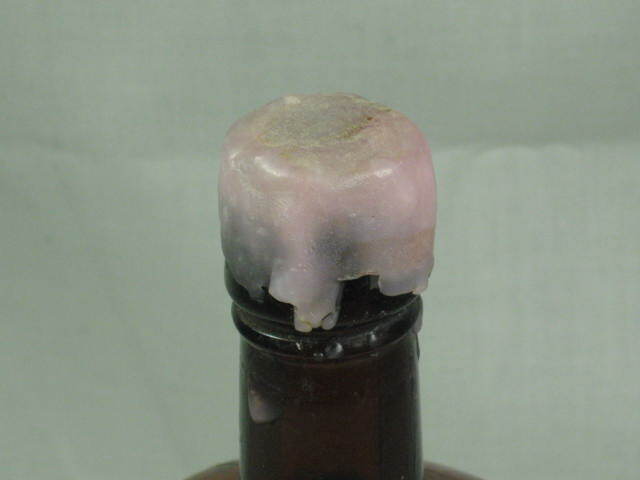 – The container has not been opened and any incidental contents are not intended for consumption. – The item is not available at any retail outlet. – The seller will take all appropriate steps to ensure that the buyer is of lawful age in the buyer’s and seller's jurisdiction. In general, this is 21 years of age.